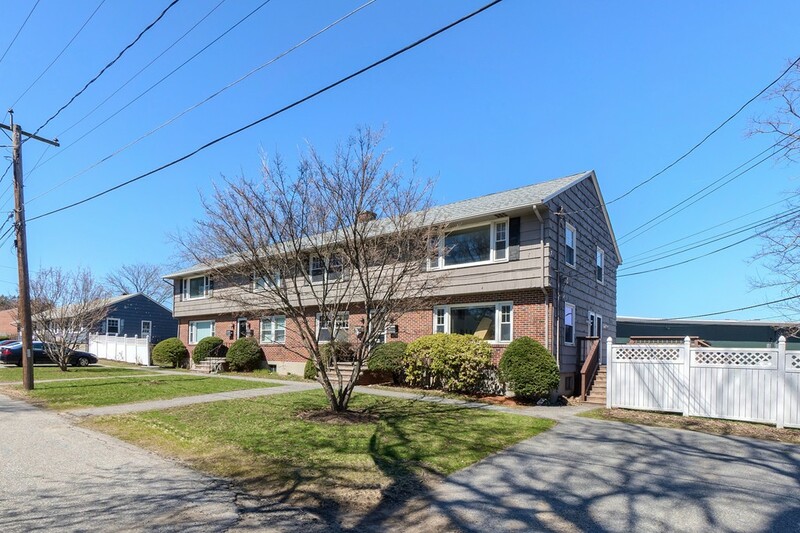 **Please submit best/highest offers by 5pm Saturday, April 6th** Available immediately, convenient 2-bedroom, garden style condo in Colonial Village. Located near The Loop, Rt.213/93/495 and tax-free NH. Great opportunity for investor or buyer looking to build sweat equity. This ground floor unit is on the same level as Building laundry. Condo is being sold "as is", seller/broker makes no warranties or representations. Buyer and/or Buyer Agent must perform due diligence. 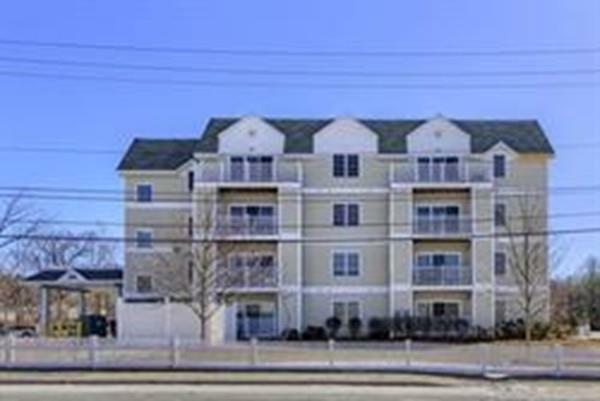 Large one bedroom unit in Ashland Place. 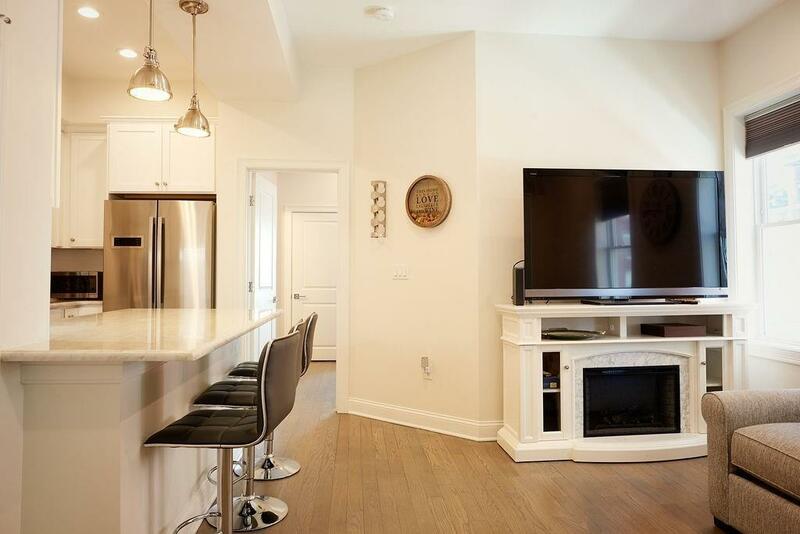 This corner unit offers an open concept floor plan with high ceilings, hardwood flooring, recessed lighting, stainless appliances, 1.5 baths, central A/C and laundry in the unit. It also has a low condo fee and outdoor space for unit owners enjoyment. Convenient Londonderry location and low maintenance townhouse in Rolling Meadows featuring an open concept living/dining room that has a slider leading to your private deck with gorgeous views of the serene pond, an updated kitchen with tile backsplash, a master bedroom with double closets, and a second ample sized bedroom with three closets. The finished basement offers a large 3rd bedroom or bonus room and is equipped with a full bath, walk-in closet, and a slider that walks out to your private patio as well as a laundry room and utility area. Carport parking for one and additional assigned parking space. Recent updates include new roof, siding, and decks. Enjoy the summer relaxing in the pool, playing tennis or basketball, and fishing!! Close to shopping and Route 93. No showings until first open house Sunday 4/7 10:30-12:30PM. Renovated townhouse at Dallas Estates available immediately with laundry in unit! This townhouse is located on the 2nd floor and has two levels inside. First floor boasts a remodeled kitchen with maple cabinets, granite counter tops, stainless steel appliances and ceramic tile floor. Large living room features ceiling fan and a slider to the outdoor balcony. Separate laundry room off the kitchen with additional storage. Upstairs find two generous sized bedrooms both with ceiling fans and a full bath. The entire unit has been freshly painted and has brand new neutral carpet throughout. Parking space #4 behind building in covered carport close to entrance. No dogs allowed, cats and birds OK with written approval, see rules and regs. Welcome home to this beautifully updated end unit townhouse home featuring newer cabinetry, appliances and flooring. Enjoy your morning coffee at the breakfast bar that boasts an abundance of natural lighting. Two great sized bedrooms and one and a half baths, one with a double vanity. Don't forget the finished basement with an extra area for storage as well. Don't miss out on this opportunity to own a multi level unit at this price! 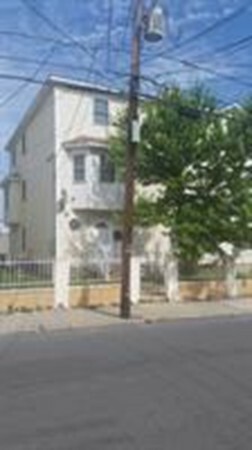 Well maintained 5 rooms - 3 bedrooms townhouse in Prospect Hill. This unit offers extra space in the finished basement, 1.5 baths, modern kitchen and 2 off street parking spaces. Book your showing today. Motivated seller!!! 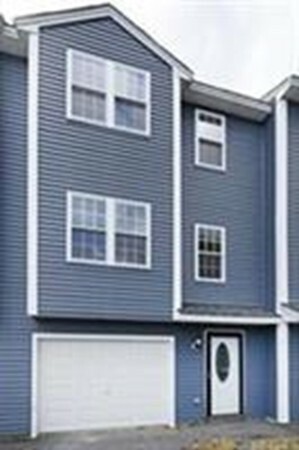 This townhouse style (1st floor and basement levels) condominium at the Buttonwoods Condominium in the Riverside section of Haverhill, MA. This unit has had recent renovation of the kitchen with new cabinets and appliances. There are 2/3 bedrooms and 2 full baths. It is a large unit with over 1,100 sq.ft. of living space featuring central air, hardwood flooring, wall to wall carpeting, high ceilings, and 8 closets so it does not lack for storage. The finished basement has 2 rooms, a full bath and a private entrance. This unit is 1 of only 2 that has it's own private entrance and porch. There are 2 deeded parking spaces plus guest parking. You can park right in front of your unit. The condo fee includes your hot water, (new common tank), water, sewer, laundry facilities (in building) a storage unit, exterior maintenance and plowing. The property is vacant and ready to show. Seller is making minor repairs that will be completed soon. Convenient for commuting and to shopping this one-bedroom condominium with loft is exactly what you have been waiting for! Eat in kitchen with lots of space. Living room for entertaining. Large master bedroom with two closets. Loft space open to the first floor with its own door and closet for guest space or attic. Currently, it is used as a bedroom. You have your own laundry in the lower level and a finished room as well. Use the newly finished room as a gaming room or a home office. Plenty of storage in the lower level. Central air. Two assigned spaces with available guest spaces. There is an area to barbecue right outside your door. Low condo fees. Why rent when you can own? Your paying someones mortgage; it may as well be your own! Sorry NO DOGS allowed. 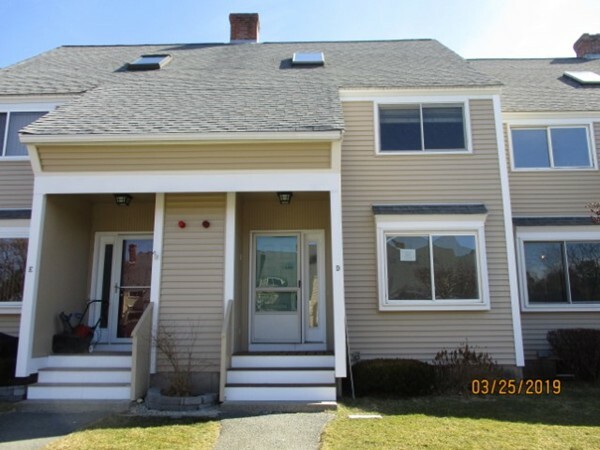 Rare 3 bedroom townhouse well taken care of in Pawtucketville section of Lowell Very close to UMASS , downtown , the boulevard , and public transportation .Good tenants that want to stay and are good standing with the landlord for years..Will not go FHA, Mass Housing or VA 1 unit is TAW and 2 have section 8 vouchers . 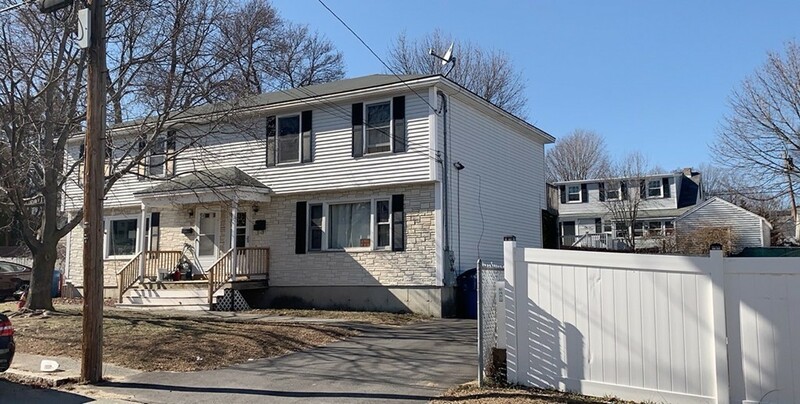 46 #3 pays 1450 46 # 4 pays 1350 48 # 4 pays 1500 "OWNER WANTS TO SELL ALL 3 UNITS AS A PACKAGE AND IT WILL BE THE BUYERS RESPONSIBILITY OF REMOVING TENANTS AFTER THE CLOSING "
Rare 3 bedroom townhouse well taken care of in Pawtucketville section of Lowell Very close to UMASS , downtown , the boulevard , and public transportation .Good tenants that want to stay and are good standing with the landlord. 1 unit is TAW and the other 2 have Section 8 vouchers. Theses units will not go FHA, Mass Housing or VA financing 46 # 3 pays 1450 46 # 4 pays 1350 48 # 4 pays 1500 "OWNER WANTS TO SELL ALL 3 UNITS AS A PACKAGE AND IT WILL BE THE BUYERS RESPONSIBILITY OF REMOVING TENANTS AFTER THE CLOSING "
BACK ON MARKET DO TO BUYER FINANCING.This Condex situated on a cul-de-sac and set back from the road is perfect for those who enjoy privacy. 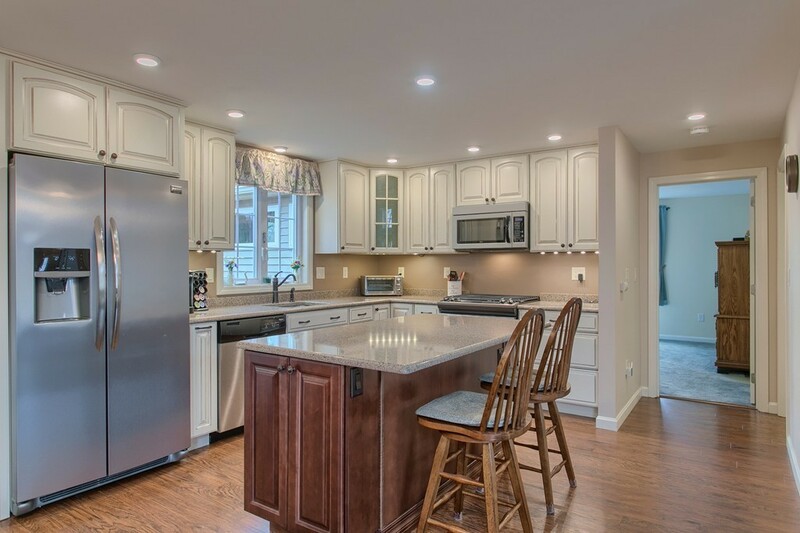 The features of this home include a kitchen with breakfast bar and a separate dining area. The large living room offers you plenty of space to spread out as well as a gas stove. Rounding out this 2 bedroom unit is a one car garage and a storage shed on the property. The best part of all this is that there are no condo fees! 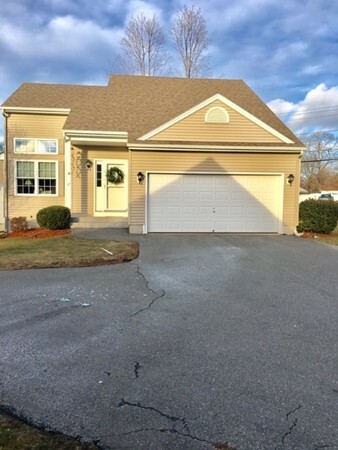 Don't look any further than this great unit, schedule your showing today. Spacious town house at Acorn Park. 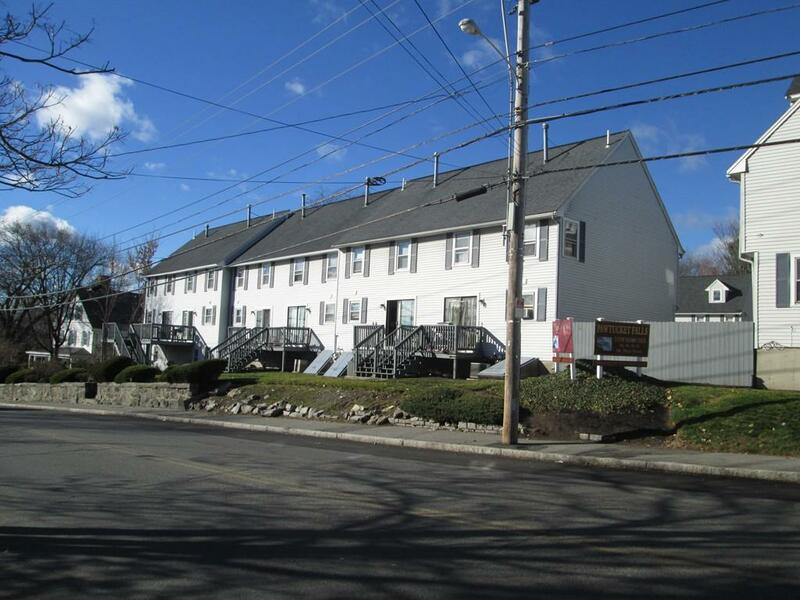 It is located close to commuter rail. This home offers hardwood floors, new carpeting throughout, slider off of living room 2 bedrooms plus a loft on the 3rd level. THIS PROPERTY QUALIFIES FOR FREDDIE MAC FIRST LOOK INITIATIVE THROUGH 04/14/2019 SELLER AND SELLER REPRESENTATIVE MAKE NO REPRESENTATIONS, EITHER EXPRESSED OR IMPLIED. SELLER ADDENDUMS APPLY. ALL OFFERS MUST BE GOOD FOR 72 HOURS & MUST INCLUDE ALL MLS ATTACHMENTS. DISCLOSURES, QUESTIONNAIRE AND PRE-APPROVAL OR PROOF OF FUNDS. NO CHANGES ALLOWED TO CONTRACT AND ADDENDUMS. CONTRACT IS DUE BACK TO L/A WITHIN 48 HOURS WITH NO CHANGES OR MODIFICATIONS AND WITH A BANK CHECK OF EMD AMOUNT MADE OUT TO LISTING AGENCY. Only Cats allowed. 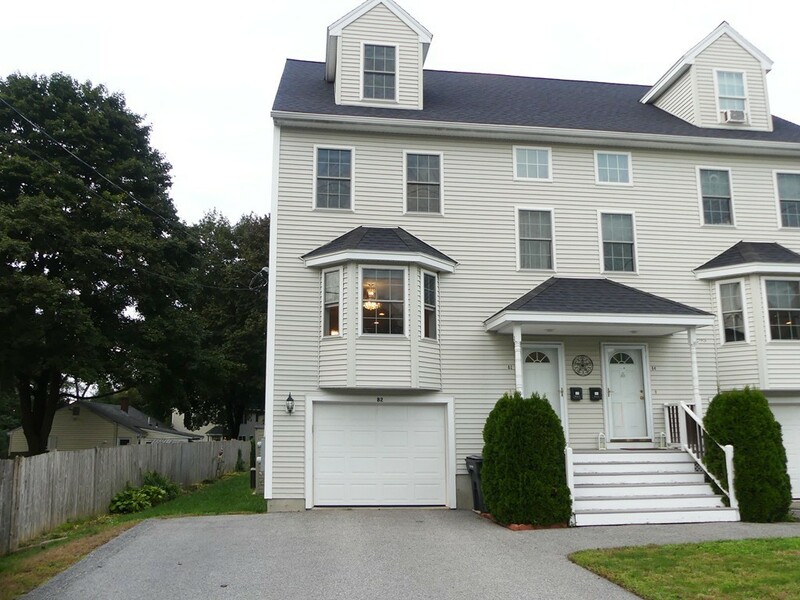 6 room 3 bedroom townhouses in Pawtucketville section of Lowell .Close to UMASS. The tenants have been here and are in good standing with the present landlord and they would like to stay. 1 unit T.A.W the other 2 have section 8 vouchers Units are in good condition. Not FHA or VA Financing. 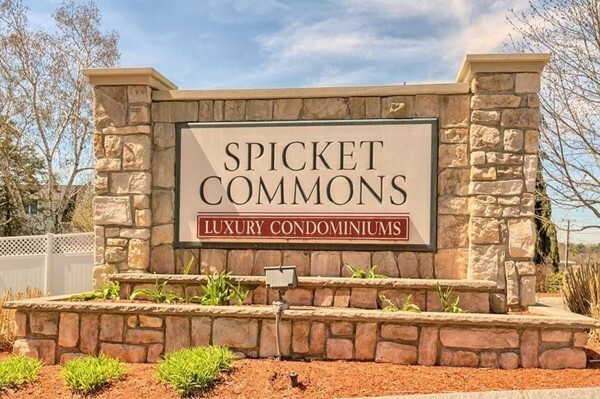 46 # 3 pays 1450 46 # 4 pays 1350 48 #4 pays 1500 "OWNER WANTS TO SELL ALL 3 UNITS AS A PACKAGE AND IT WILL BE THE BUYERS RESPONSIBILITY OF REMOVING TENANTS AFTER THE CLOSING "
Welcome to Spicket Commons! This desirable 1 bedroom condo is perfect for the 1st time buyer or down-sizer! It is the first time in over 3 years that a larger square foot floor plan unit has come on the market and you won't want to miss this opportunity! Well-maintained, new garbage disposal, beautiful updated lighting throughout make this unit feel custom! Tons of storage with large closets and in-unit washer/dryer make living easy! This sunny unit gets great fresh air off the deck and has assigned parking! Don't sweat the New England winters with condo fee covering plowing! The clubhouse features a new updated fully equipped gym! Enjoy summers by the well-kept in ground pool and outdoor bbq station! 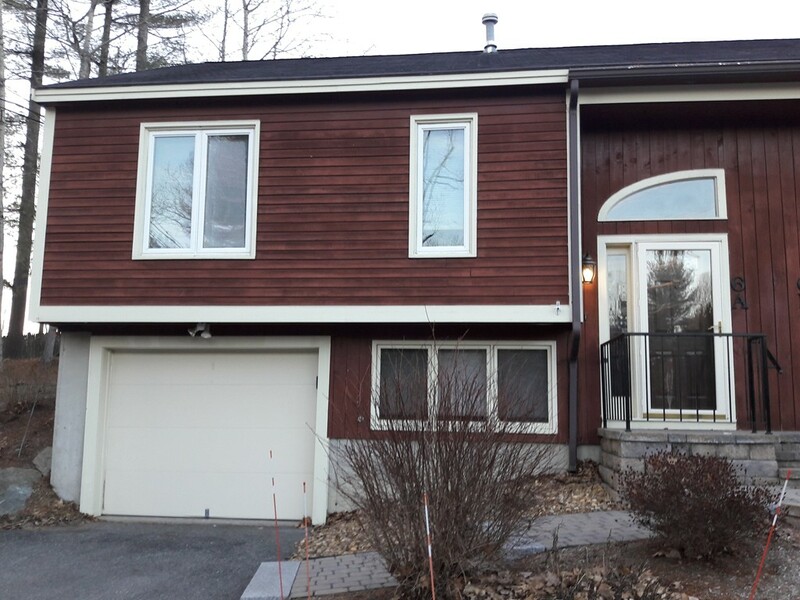 Secure locked doors and intercom system and all nestled in the trees but still just moments away from shopping and tax-free New Hampshire! Welcome Home! Get ready to be wowed by this unit! Walk in and be greeted by gleaming hard wood floors and elegant crown molding throughout. An open floor plan makes entertaining a breeze, as does the spacious dining room. Updated kitchen hosts granite countertops, tile backsplash, stainless steel appliances, in and under cabinet lighting, and a pantry near by. Generous sized bedroom with double closets, and a 3/4 bathroom across the hall is just a quick stride away. Master suite is what you have been wanting! Inside you will find a gorgeous tiled 3 way shower, walk in closet with glass shelving and plenty of sunlight. This entire unit has built in surround sound, central vacuum, glass doors, and plenty of storage. Plenty of open parking, extra storage in the attic, pool, play ground and basketball court are a few of the extras this association has to offer. Laundry and mailboxes are in the building. Condo fee will cover most of your expenses, water bill is paid by the unit owners. Great views off balcony. Views of Merrimack River most of the year. Located on the 3rd floor. There is a function area centrally located on the floor with large screen tv's and an opportunity to socialize or just sit back and relax. The design here affords a common kitchen for gatherings and special occasions. The layout of the unit is very functional and makes it easy to get around. Many scheduled events. The Pool is under construction and will be waiting for you this summer. This unit has a storage area located close to the unit and an additional one in one of the other buildings. Storage is ample for those downsizing. Appliances only two years old. There is also a game room with ping pong table, card table and pool table. There is a hair salon in the lobby. Elevator makes getting around very easy for owners and guests. Opportunity knocks! A fantastic opportunity awaits a savvy buyer to receive a fantastic value for this updated 2 bedroom garden style unit. This second floor (top floor) unit boosts 1,230 sq.ft. 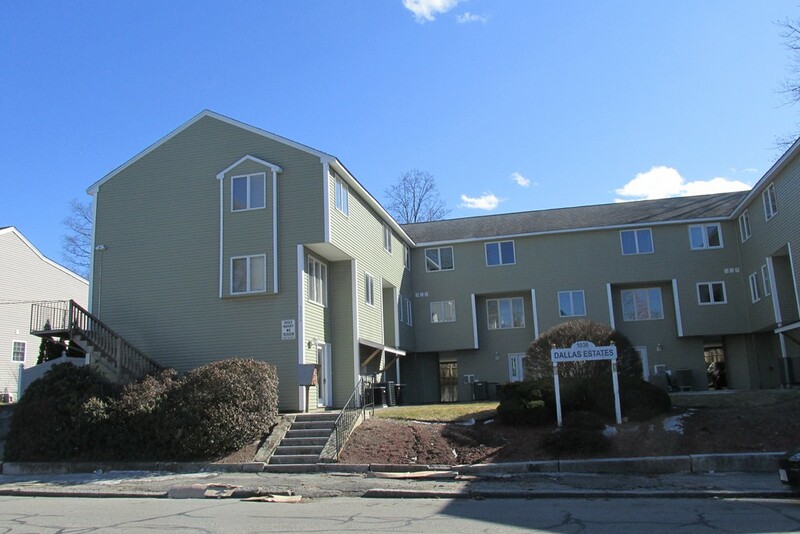 of living space and this represents the lowest condo Square Foot pricing in North Andover. A Great Value! The tiled kitchen features new cooktop range and oven. Plenty of cabinet and pantry space. Large dining area leads to the spacious living room with hardwood flooring. Two good size bedrooms. The entire unit has been freshly painted. Brand new heating system and hot water tank. As a bonus, there is a private basement with laundry hookups and plenty of storage space. The roof has been recently replaced. 2 assigned parking spaces. Low condo fee. Just move in and enjoy! 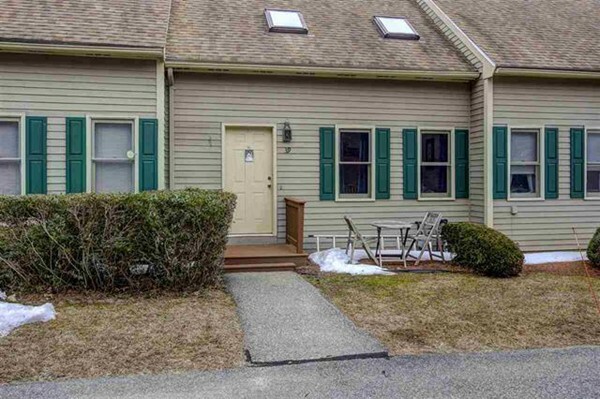 Great location on small side street, close to schools, shopping, recreation, Merrimack College, highways and much more! Compare! MULTIPLE OFFERS. HIGHEST AND BEST BY 4/11 AT 5PM. Great price in this hard to find Condex in the Mount Vernon area. 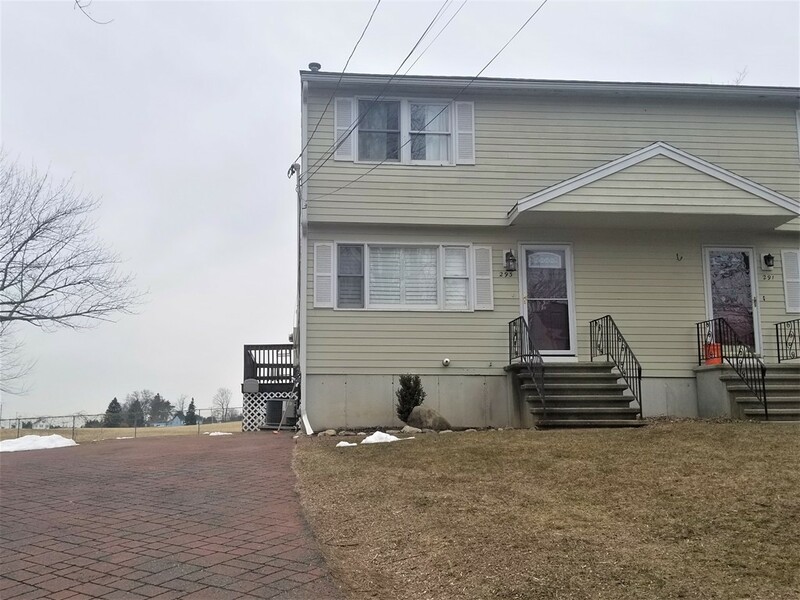 Property features 3 bedrooms, 1.5 bathrooms, brand new on demand heating system, updated electric panel, large private deck off master bedroom, fenced private yard to enjoy Summer BBQs! No condo fee. Won't last! This condo is close to major highways. Many updates over the last few years. New roof, siding, garage doors, hardwood on first floor, granite counter tops, updated vanities. The condo is been painted and ready to go. All offers should be submitted no later than Monday March 25th at 5 pm. This condo is close to major highways. Many updates over the last few years. New roof, siding, garage doors, hardwood , granite counter tops, updated vanities. The condo is been painted and ready to go. 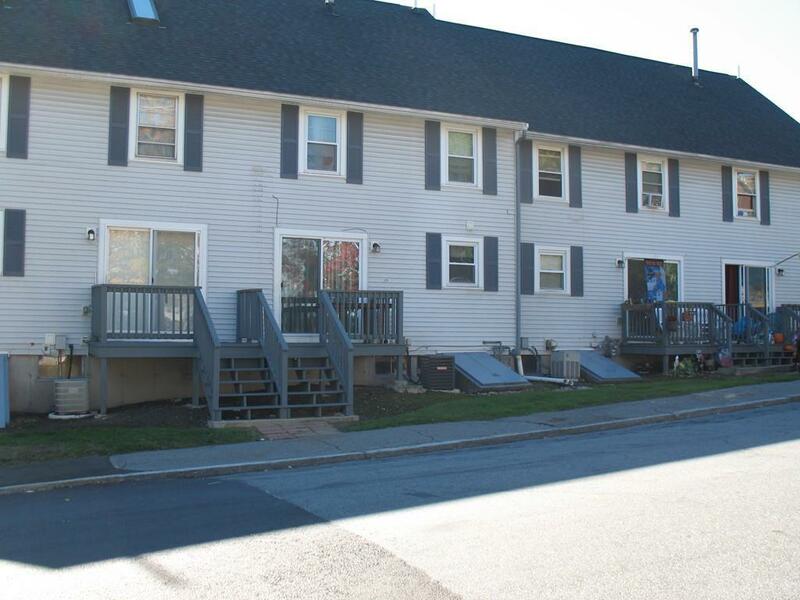 This beautifully maintained duplex townhouse with NO condo fee, features new laminate flooring in the kitchen and master bedroom, central AC and gas heat. Open concept kitchen and dining area lends an airy feel to the space, with access to a spacious deck overlooking a fenced yard. 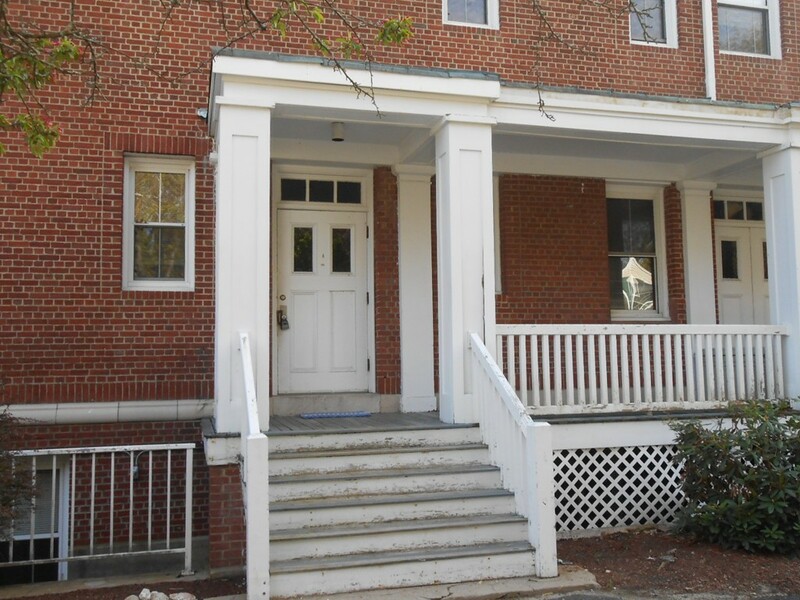 Two spacious bedrooms, 1.5 baths, partially finished basement, laundry room and attic storage. Freshly painted kitchen, living room and spare bedroom. 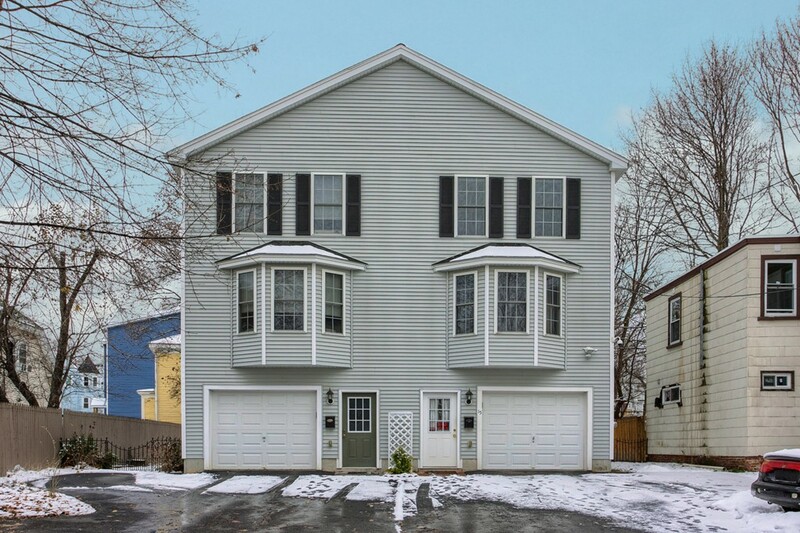 This charming townhouse is just minutes away from Route 97, and 495 and 93 highways, convenient to shopping, schools and restaurants with train access to all city and commuter routes. This listing is provided as a convenience to the Buyer. Buyer and/or Buyer's agent to verify all information prior to making an offer. Room dimensions are approximate. Luxury Active Adult - One Floor Living At It's Best! Easy access to highway close to shopping. Offering an open floor plan with spacious kitchen, granite counters and breakfast bar. Peek right into your living room and dining area. All occupants must be 55 years of age or older. Location, Location, Location! 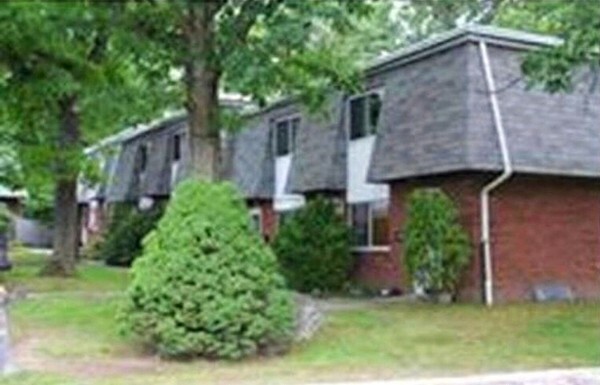 This well maintained 2 bedroom unit offers privacy and makes for a great starter home. The home features a nice size living room with a gas fireplace and wood floors. The eat-in kitchen has maple cabinets gas cook top and wall oven. Two rooms are finished in the basement, one for entertaining and the other an office. Enjoy the all 4 seasons overlooking the beautiful farmland . Don't miss the opportunity to own this gorgeous Condo within walking distance to downtown, the Train station, great restaurants and best of all: No Association fee. Featuring a Cathedral ceiling, granite counter top and a beautiful open concept design. This unit is also close to shopping centers and schools, located in a huge corner lot with plenty of parking. 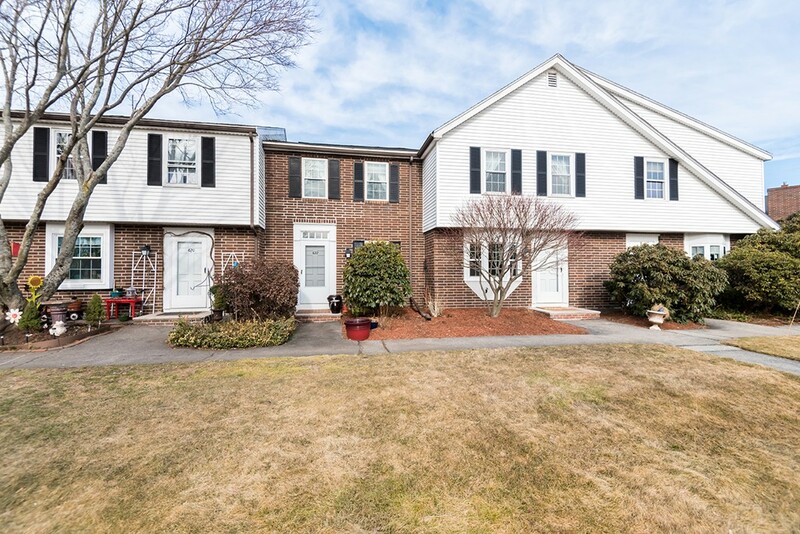 Don't miss the open house this Sunday March 31st from 1:30 to 3:30. The condo won't last. OVER 2800 SQ. 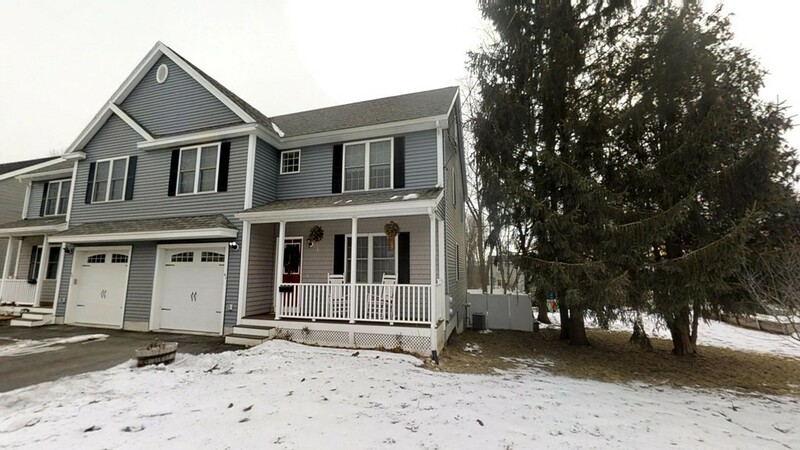 FOOTAGE 3 STORIES UNIT CONSTRUCTED 2007, 3 FULL AND 1 HALF BATH, BUILDER'S STANDARD FEATURES INCLUDE CABINETS, GRANITE COUNTERS, ISLAND IN KITCHEN WITH MARBLE FLOOR IN KITCHEN AND BATH, HARDWOOD THE REST OF THE HOUSE, MASTER BEDROOM IS OVER 325 SQ. WITH FULL BATH AND WALK IN CLOSET, AND 2 SPACIOUS BEDROOMS, PLUS TWO EXTRA BEDROOMS ON 1ST FLOOR, 5+ PARKING SPACE, THIS IS THE PERFECT SPACE FOR A GROWING FAMILY WITH PLENTY OF SPACE AND POSSIBILITIES. 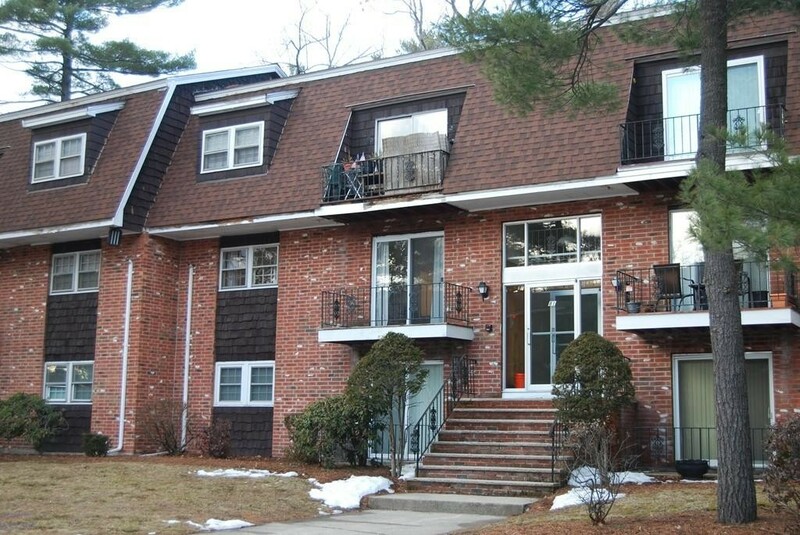 3 bedroom, 2 bath Townhouse located in popular Brookside Condominium. This sun-filled unit offers 3 levels of living space, a newer updated kitchen, dining area and spacious living room with picture window overlooking rear lot. 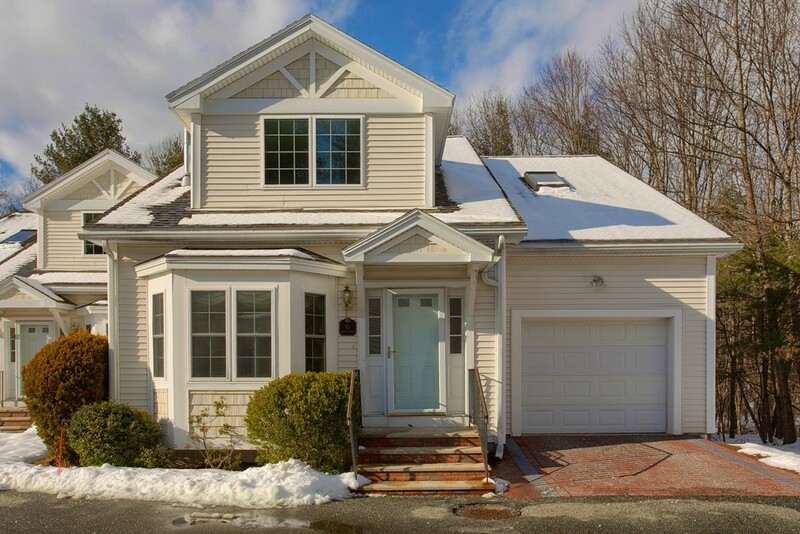 Convenient location with easy access to commuter routes, all schools, library and downtown North Andover. Additional features include newer roof (2011), finished lower level with 3rd bedroom/office, second full bath with laundry and a play room. The in-ground pool has been recently renovated (2011) and the large common lot offers available visitor parking spaces. Wonderful opportunity in a convenient location! 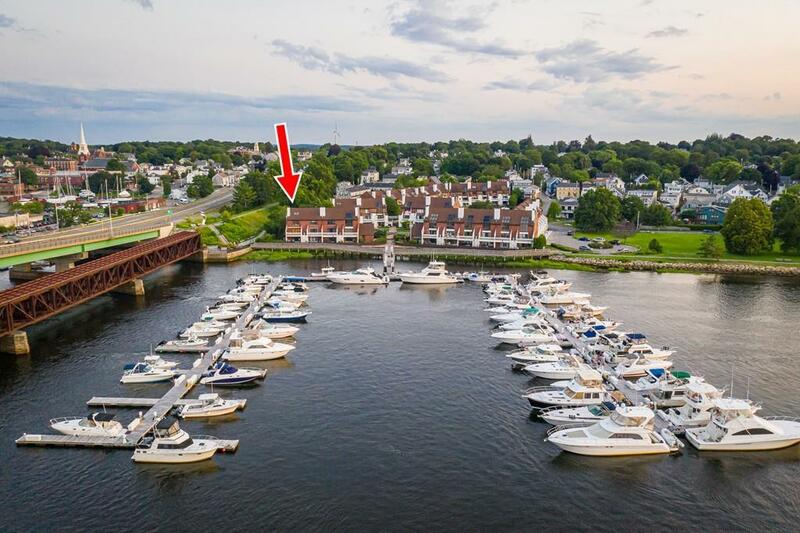 Move right in to this fabulous, like new townhouse in the delightful Riverside Area. 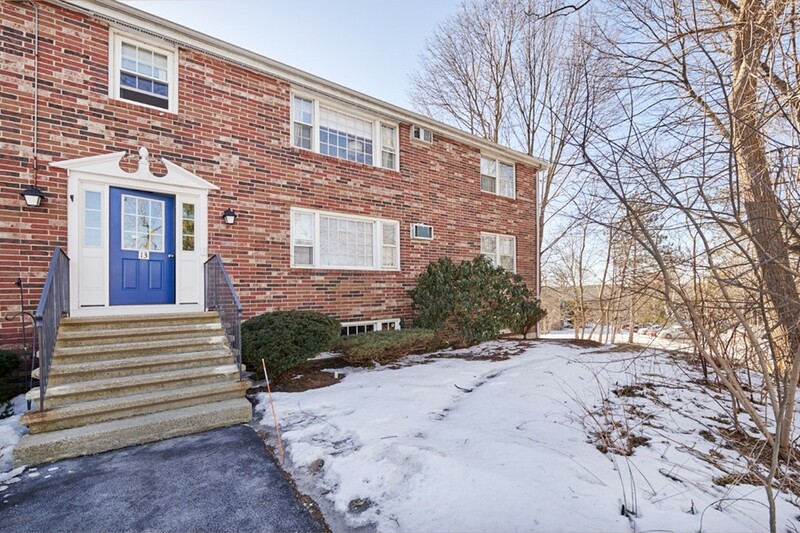 This meticulously maintained 3 bedroom, 2.5 bath condominium boasts a fantastic layout featuring 3 levels of living as well as fabulous outdoor living space with both an upper and lower deck and spacious back yard. Additional amenities include central air, hardwood floors, a large open floor plan on the first floor, a gourmet kitchen completed with granite counters, stainless steel appliances and 3 generous size bedrooms, including the third floor master en-suite with full bath, all a short distance to the Merrimack River, parks and in close proximity to Route 113 and 125, this home is a must see. New Construction ...A high-end townhouse nestled in a historic Upper-Belvidere neighborhood. This charming three-level townhouse has two spacious bedrooms on the second floor and an expansive loft on the top-floor. This unit features an open concept layout. Built with quality and style in mind, you can personalize your unit to your liking. Some optional upgrades are gleaming hardwood floors, gas fireplace, granite countertops, stainless steel appliances, tiled baths and more! The possibilities and upgrades are endless. 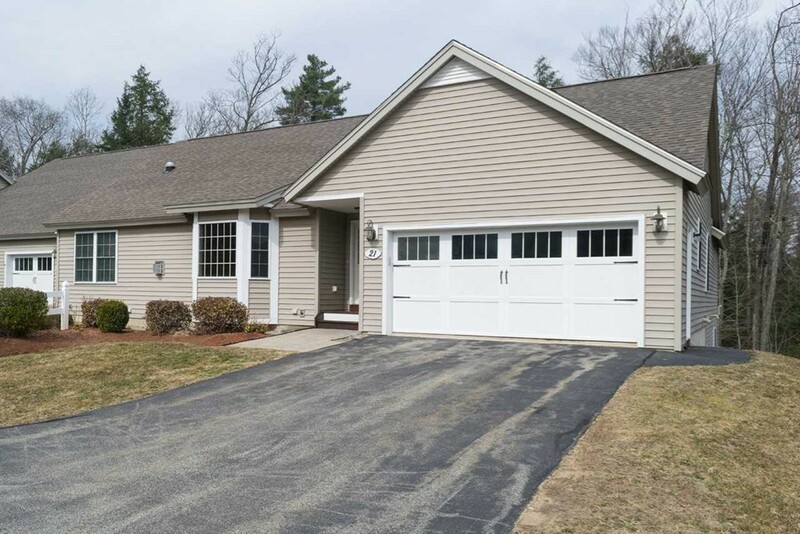 Beautiful End Unit Ranch style at desirable 55+ Angle Pond Woods. 2 BR, 2 bath, 2 car garage. Front yard w/beautiful garden and back yard to enjoy. Bright kitchen with plenty of cabinets and breakfast bar, upgraded SS 5 burner stove, SS refrigerator. Bright living room w/cathedral ceilings, gorgeous hardwood floors w/gas fireplace and sliders to large private deck with views of the woods. Large and bright master suite has bathroom, double closets, and slider to deck. Garage with upgraded DC garage door opener with battery back-up. Home is hardwired for computer network. Dual fuel power generator & line switch. Basement is heated w/slider to back yard. Central air, central vac, gas dryer staying, ADA height toilets, grabbers in showers. Pet friendly, RV storage, mailboxes. Gazebo located at the end of Autumn Lane. There is a beautiful beach with picnic area on Angle Pond with dock for fishing, swimming and walking trails all located at property. Seller to find suitable housing. 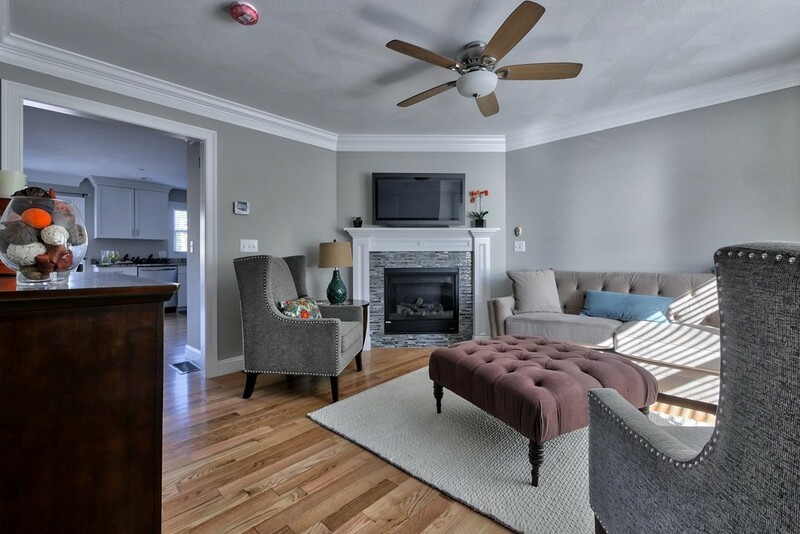 Pride of ownership shines in this gorgeous 2 bedroom 2.5 bathroom condo with bamboo floors, upgraded millwork and beautiful crown molding. 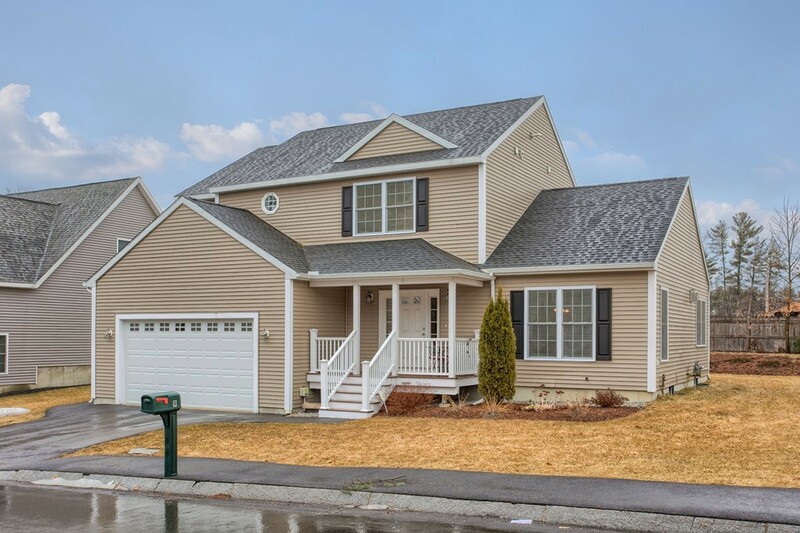 The home boasts a gorgeous kitchen with ceiling height maple cabinets with crown molding, granite counter tops, glass tile back splash , large center island with seating, SS appliances and an inviting and sunny 4 seasons room. An extra wide oak staircase leads you to the 2nd floor consisting of a good sized master bedroom with bathroom and a walk in closet. You'll also find a guest bedroom and a laundry room here. Need more space? Take a walk down another extra wide set of stairs to the professionally finished lower level with 2 separate rooms and a 3/4 bath. YEAR HOME WARRANTY included. 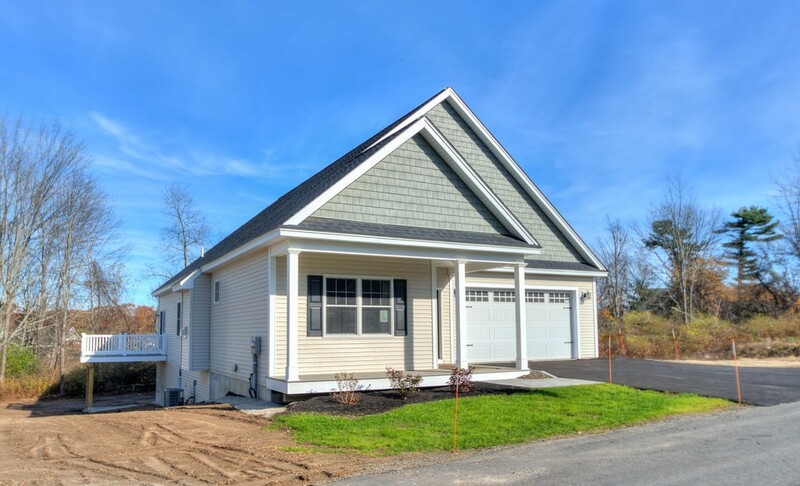 Welcome to THE FAIRWAYS | A well managed 55+ Active Adult Community located near all that Haverhill & Plaistow have to offer. 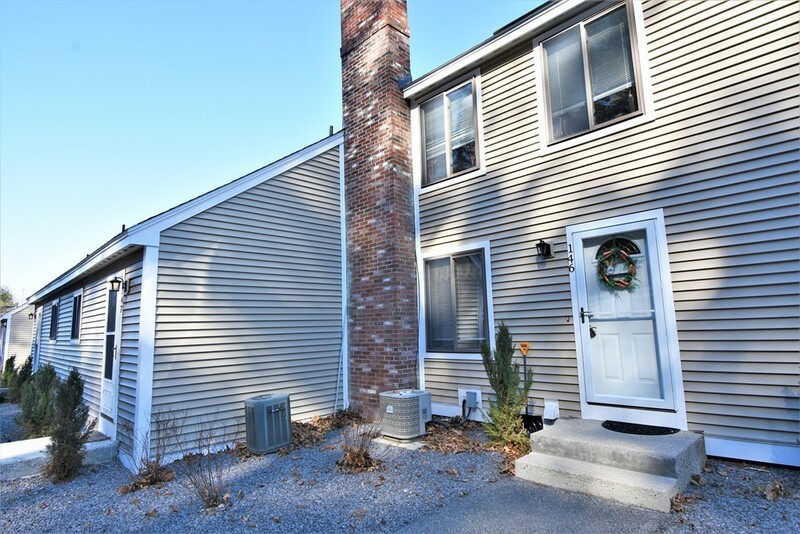 Minutes to NH shopping and convenient to the highway. Private END unit location with open concept living and the largest floor plan available. 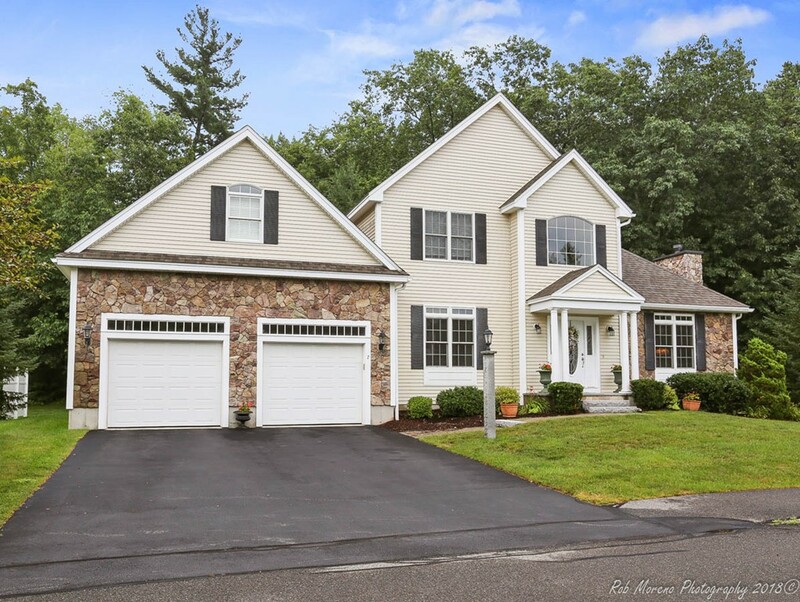 This home offers 1st and 2nd floor Master Suites with wooded views and both featuring private baths with double vanities and oversized walk-in closets. Jetted tub with separate shower in the 2nd floor Suite. Additional bonus room for an office or den on the 2nd level as well a large open loft area overlooking the living room with fireplace. Very private rear deck overlooking the woods and accessed through the sliders off of the kitchen. Full walk-out basement with sliders waiting to be finished and plenty of storage. 1 car garage. The Fairways offer a Clubhouse with Great Room, Library, Kitchenette, Fitness Room, Swimming Pool, Tennis Court & Putting Green. 1 household pet allowed under 20 lbs. Fantastic condo at Longfellow Manor. The condo has been freshly painted and is ready for it's new owner. Enjoy the association swimming pool this summer! Common laundry facilities. 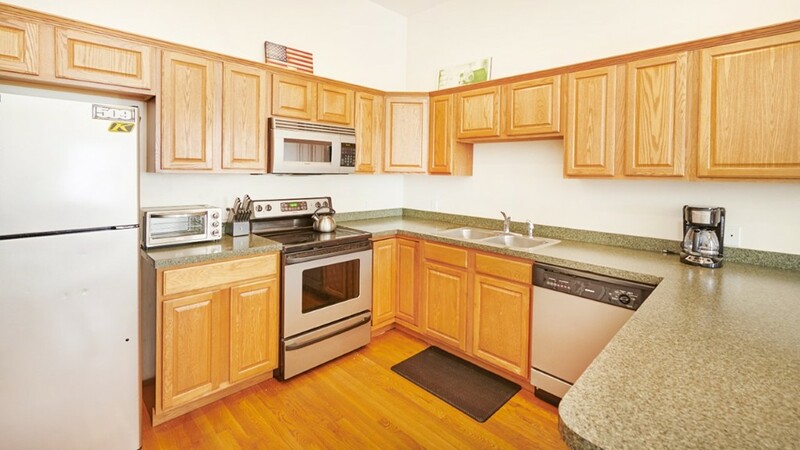 The complex is conveniently located near Boston College, Boston University, Whole Foods, restaurants and much more. The Green B Line is just one block away! The condo also comes with a deeded parking space. Come take a look! Better than new! This home is in perfect condition with everything you need! 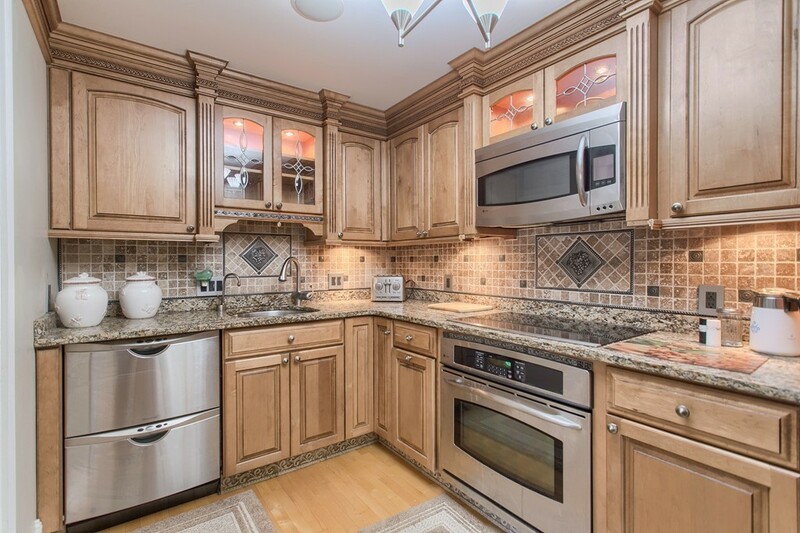 Upgrades include a cabinet packed kitchen with Granite Counters, L Shaped Island, Recessed Lights, Hardwood floors. The Large Dining offers access to a large Deck overlooking a beautiful fenced in yard. The second floor features 3 generous bedrooms, including the master with a full bath and walk in closet. The other 2nd floor full bath includes laundry with gas dryer hookup. Other features include a full walk out basement, pull down attic and 1 car garage. Hurry this one wont last! MULTIPLE OFFERS --- BEST & FINAL DUE TUESDAY, APRIL 2 @ 5:00 PM --- Highly coveted & rarely available Single Family Detached-style Condo at desirable Laurel Woods. This 5-star home features a 1ST FLOOR MASTER BEDROOM, new Quartz Kitchen, new HVAC system, upgraded electric, new Pergo flooring, 2 Sun Rooms & more. This south-facing home overlooks 4.5 Acres of open space, providing privacy and scenic seasonal view from your Deck & exclusive dual Sun Rooms. The 2nd Level offers Two Generous Bedrooms, ample storage space and a 2nd Full Bath. The Lower Level hosts two work benches with plenty of electrical outlets ideal for crafts & handymen or contractors. 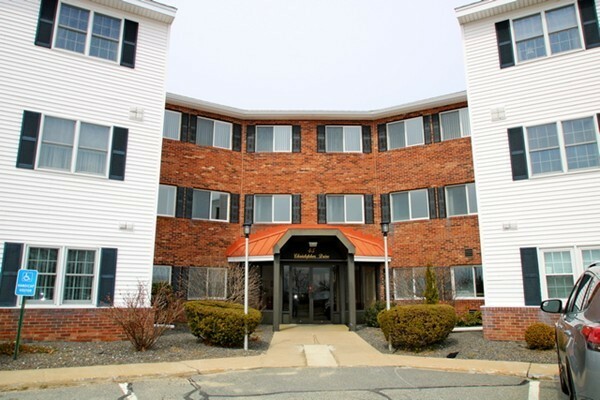 Enjoy the low-maintenance lifestyle that Laurel Woods provides, with convenient access to Interstate 93, shopping & retail establishments along Route 110. Hurry while it lasts! Welcome home! This beautiful 4 year young home is looking for a new owner! Park in your own personal two car garage and step onto your gleaming hardwood floors that run throughout the entire main level. On your left is your family room and to your right is the beautiful kitchen with granite countertops, custom cabinets, stainless steel appliances and is open to your formal dining area. The dining area shares a two sided gas fireplace with the living room, making it easy for everyone to spread out and enjoy their own space. Upstairs you will find two spacious bedrooms that share a beautiful full bath, as well as the master bedroom complete with walk in closet and its own full bath. It doesn't stop there! Finished bonus space in the basement is great for almost any use. This home is a must see, schedule a showing today! 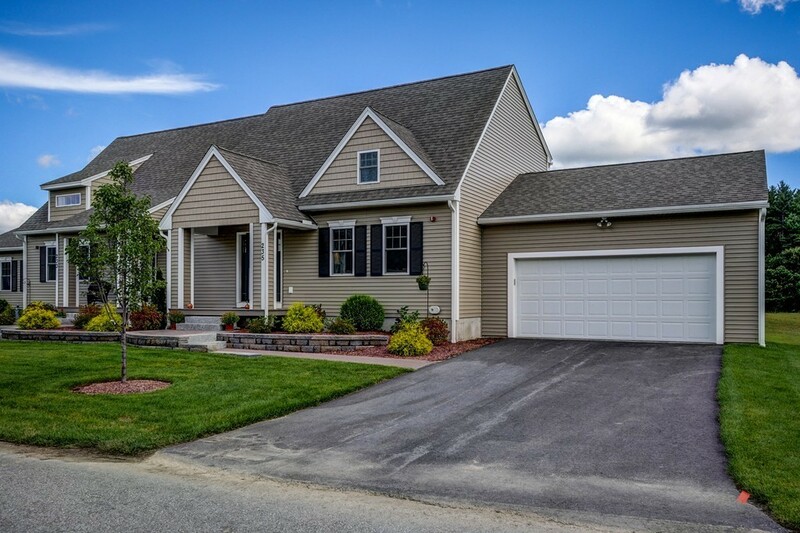 Serene, 55 and over adult community nestled among beautiful Windham farmland. Minutes to I-93 and shopping. Enjoy new construction with incredible craftsmanship and versatility in mind. 15 homes will be built on Chadwick Circle boasting 1,800 - 2,400+ sq ft of living space, one or two level units, hardwood floors in the kitchen, dining and living rooms. Andersen windows, walk-out basements -- a true country setting. Reserve your lot today. Luxury condo, just outside Maverick Square and Jeffries Point. Located on the Blue Line T Stop in East Boston. One bedroom, two full baths & office. The office could easily be used as a second bedroom. The condo includes 3-1/4" oak with gray wash stain floors, marble counters, central a/c, in-unit laundry hook-ups, solid core doors with polished chrome hardware, recessed lighting, high efficiency gas heating and hot water. 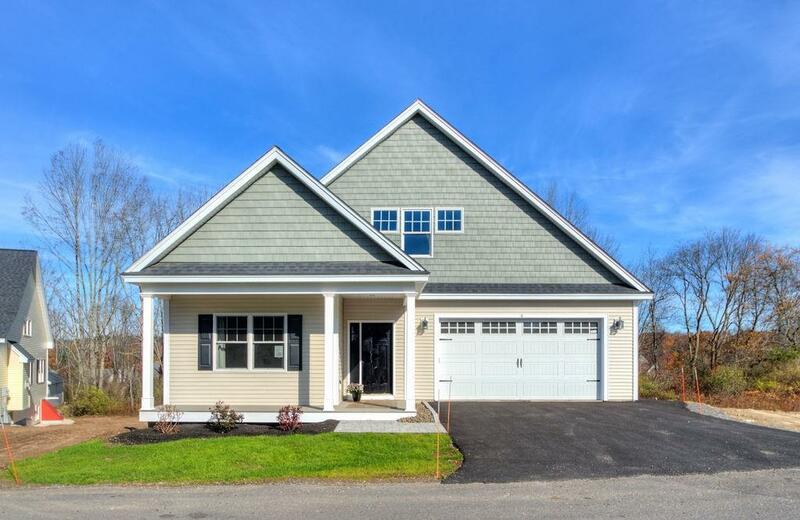 Porcelanosa Tile and backsplash, Bianco Carrera Marble in kitchens and baths, Bosch stainless appliances, Kohler purist bath fixtures, Bryant high efficient HVAC with NEST thermostats, Navien tankless water heater and much more! 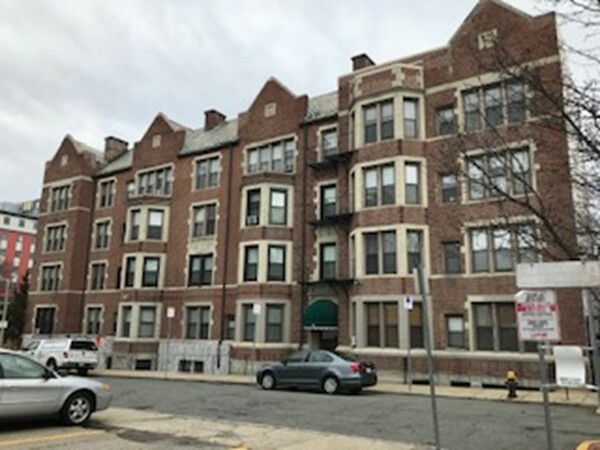 Don't miss the opportunity to live in East Boston. This beautiful "Cambridge" style home at Stone Castle Estates will impress you from the start with the arched entryways and columns in the formal dining room to the formal living room with gas fireplace and recessed lighting. First floor Master suite has a large master bath and walk-in closet. The kitchen highlights are granite counter tops, stainless steel appliances, hardwood floors, recessed lighting, island & dining area with a slider to the deck overlooking private backyard. The kitchen/dining area is an open concept to a cozy bright Family room. 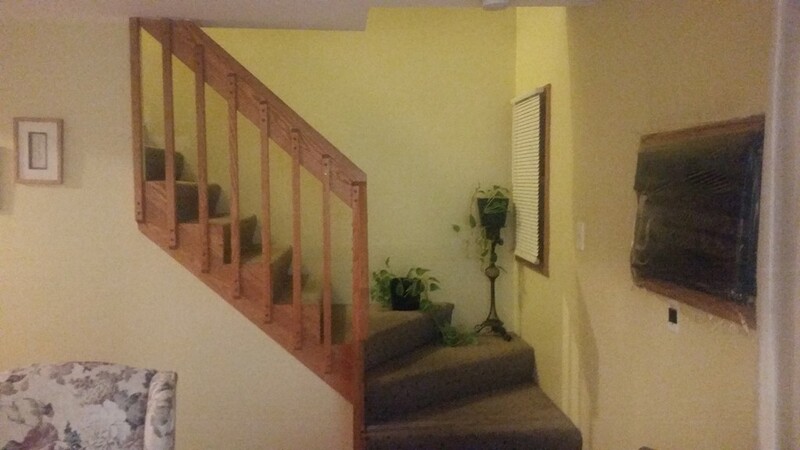 Upstairs is a 2nd bedroom, loft, full bath & bonus room with walk-in closet. 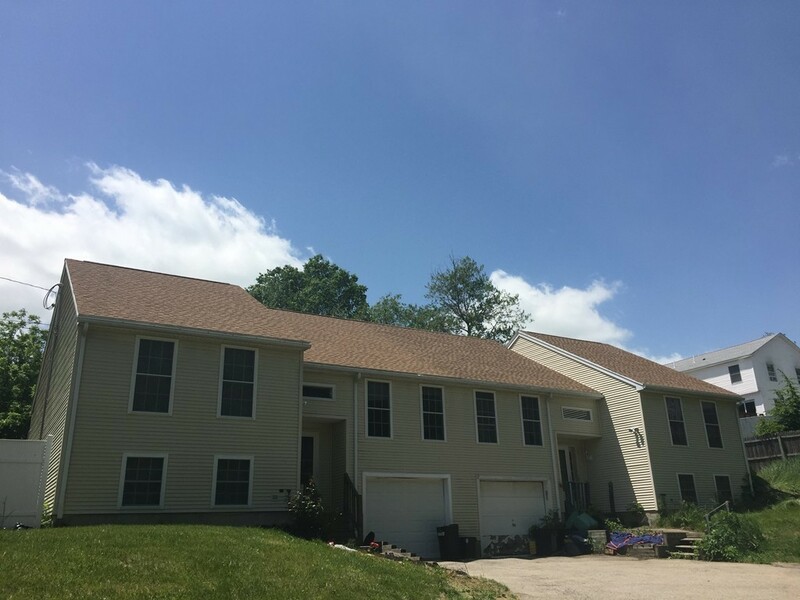 2 car attached garage and full basement! This 55+ gated community is conveniently located near major highways & shopping. 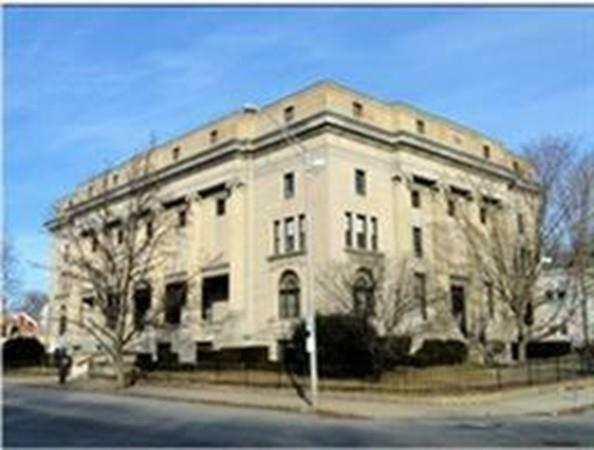 Space available for rent at the historical Masonic Lodge building located in the heart of downtown. Easy access to major highways (93 & 495) as well as routes 28, 114 and 110. Currently offering various spaces that can be rented all together or separate. Access to a conference room and a beautiful lobby that can be used as a waiting area. These spaces are ideal for offices or can be used for many different types of business. Easy to show. Come and see it today!!!!! 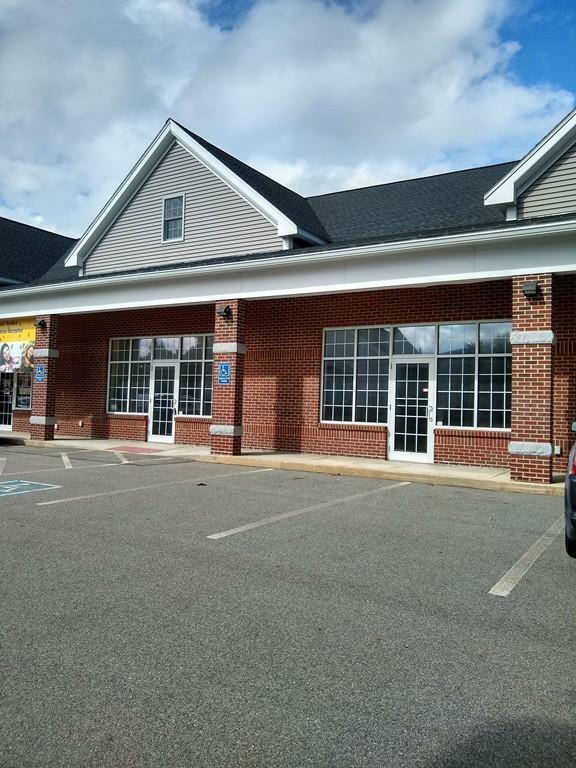 This young brick building is located on heavily traveled Route 38 and is adjacent to Walgreens and Sunrise Plaza. Excellent location for retail or office space. There are a total of three open units with two half baths and a rear door ideal for deliveries. May be divided into two units consisting of approx. 2160 sq. ft. and 1040 sq. ft. Parking to the front and rear of the building.